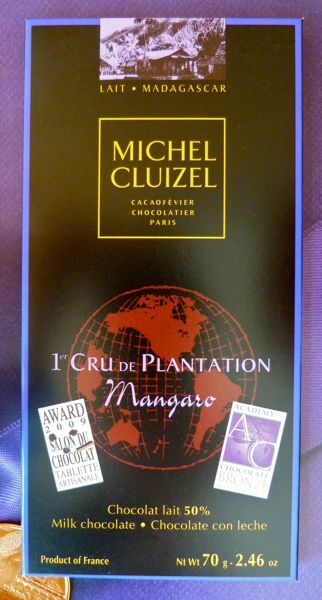 This relatively dark milk chocolate (50%) bar was made by Michel Cluizel (Paris, France) with beans from the Mangaro plantation, in northwest Madagascar. The description on the back of this bar included this tasting note. 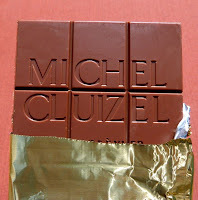 "It expresses...notes of caramel, exotic fruits, spice cake and honey." 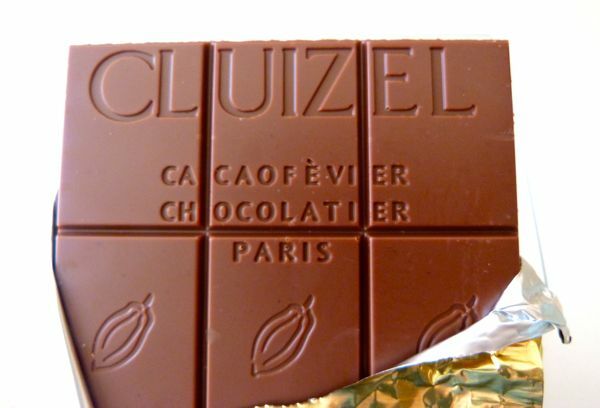 Most of the pure (no milk added) dark chocolate bars made with cacao from Madagascar seem to have a unique citrus/acidic fruit flavor. In contrast, milk chocolate bars made with beans, from this large island nation off the east coast of Africa, take on a different taste altogether. The addition of milk is a powerful thing. "Caramel" notes seem to be a common descriptor used with these milk bars. 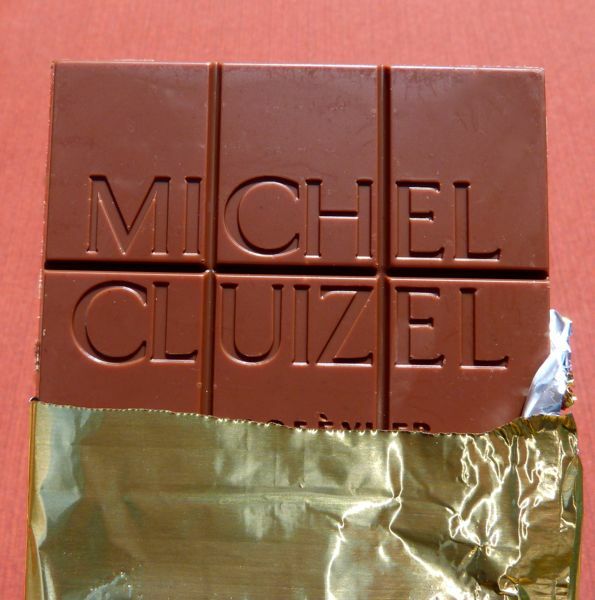 While I favor the dark chocolate bars with a less diluted bean flavor, this Michel Cluizel bar is one of the best milk chocolate Madagascar bars I've tasted. Today was Day #5 of Madagascar Chocolate Theme Week.